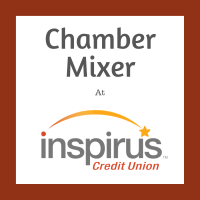 Join us at Inspirus Credit Union for the Chamber's April Mixer! It will be the perfect place to network and make new contacts in the Business and Chamber Community. 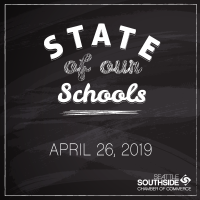 Join us at the annual State of Our Schools Luncheon on April 26th. The work of the Governmental Affairs committee allows the Chamber to serve as the voice of business at all levels of government to include monitoring and advocating for legislative issues and concerns. 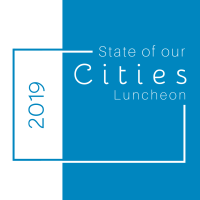 The Seattle Southside Chamber of Commerce is pleased to present its Annual State of our Cities Luncheon (formally known as the Mayors' Luncheon), on Friday, May 10th, 2019. 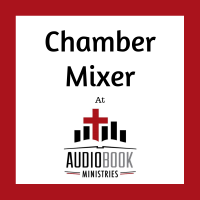 Join us at Audiobook Ministries for the Chamber's May Mixer! It will be the perfect place to network and make new contacts in the Business and Chamber Community. Join us for our June Luncheon and Learn with El Dorado West Retirement Community.